My hero name is Gamlin and I am from Server 835 - Nebo. In house of cards I by accident clicked the reward to exchange cards for Mountain God. I am currently using Mountain God already as an active hero in my party. I was wondering whether it would be possible to exchange or swap the Mountain God Crest for the Son of Odin Crest, or to exchange or swap the cards used in order to recruit Mountain God. 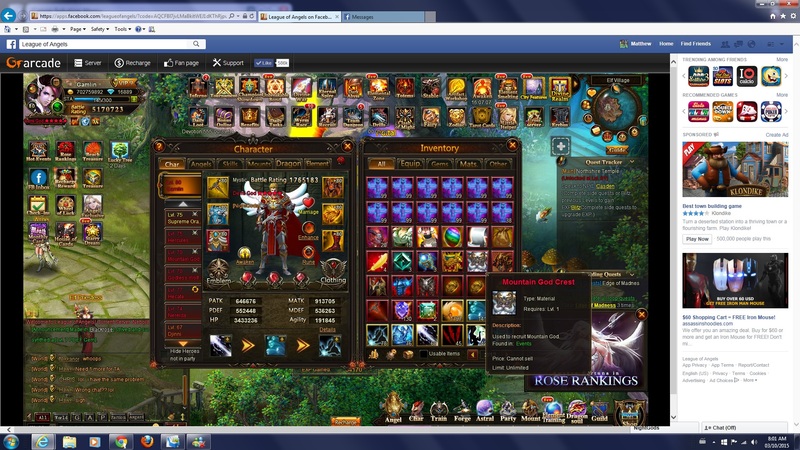 I have attached a screenshot of the crest in my inventory, and you can also see Mountain God is active in my party. You can try to bring this up with support and plead with them and see if they can agree with your request. I will ask if they can exchange it for you or return the cards, not promising but will try. Not yet...devs have been on holidays. Nyx will update you as soon as she can. Thanks! The cards have now been sent back. Thanks so much for looking into this for me! 2019-4-21 22:56 GMT+8 , Processed in 0.069617 second(s), 46 queries .